The Wildflower Film Awards Korea return for their third edition next month and this week unveiled their 2016 nominees. In total, 22 films, including 15 fiction and 7 documentary works, are up for 11 awards in 10 categories. For this year’s event, the Best New Actor and Actress categories have been merged, and a new Best Supporting Performer section has been added. 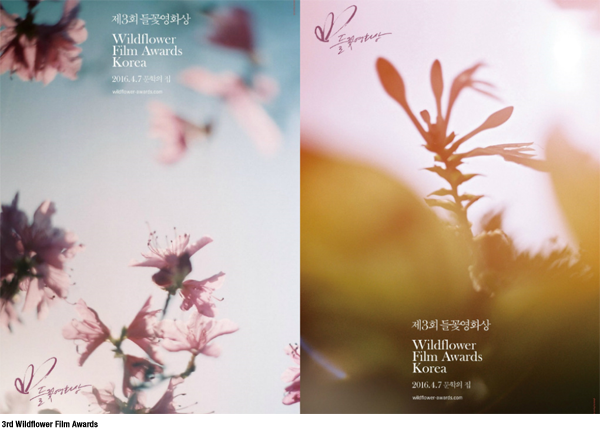 The Wildflowers recognize achievements in independent Korean cinema and consider all films made on a budget below KRW 1 billion (USD 860,000) that were released theatrically during the previous calendar year. Leading the nominations are the narrative features LEE Kwang-kuk’s A Matter of Interpretation, JANG Kun-jae’s A Midsummer’s Fantasia and Albert SHIN’s In Her Place. Joining those three in the Best Narrative Film Director category are SHIN Yeon-shick (The Avian Kind), HONG Sang-soo (Right Now, Wrong Then), SHIN Su-won (Madonna) and PARK Jung-bum (Alive). The Best Documentary Director nominees are JANG Hee-sun (My Fair Wedding), IM Heung-soon (Factory Complex), GU Ja-hywan (Red Tomb), PARK Bae-il (Miryang Arirang - Legend of Miryang 2) and E Il-ha (A Crybaby Boxing Club). In addition to the Narrative Film and Documentary Director prizes, one nominee across both categories will be up for the Wildflowers’ Grand Prize, which last year was won by LEE Su-jin’s HAN Gong-ju (2014). The awards will take place on April 7th, once again at the Seoul Literature House on the slopes of Namsan Mountain in Central Seoul. The Wildflowers are put on by film critics Darcy Paquet, who serves as Director, and film critic OH Dong-jin, as Organizing Director.